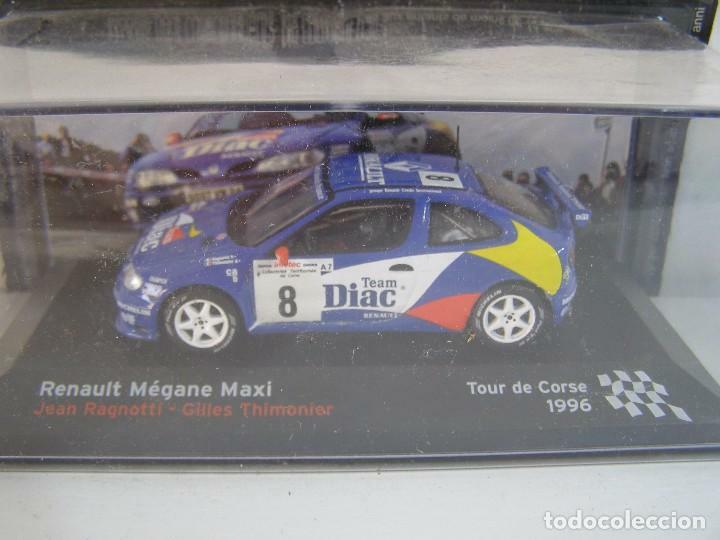 1/43, RENAULT MAXI MEGANE DE 1996 DE RAGNOTTI, COLECCION CAMPEONES FRANCESES DE RALLY ALTAYA. COCHE A ESCALA 1/43, MODELO RENAULT MAXI MEGANE DE 1996 DE JEAN RAGNOTTI,COLECCION CAMPEONES FRANCESES DE RALLY ALTAYA. RENAULT CLIO MAXI, RALLY MONTECARLO 95, RAGNOTTI, COLECCION RALLY DE ITALIA, EAGLE MOSS ALTAYA 1/43. 1/43, RENAULT 11 TURBO RALLY MONTECARLO 1987, PILOTO JEAN RAGNOTTI, COLECCION MONTECARLO ALTAYA..
Hora oficial TC: 20:08:15 TR: 268 ms.